At Michoud Assembly Facility, technicians welded together Orion’s barrel and aft bulkhead inside a tooling structure. 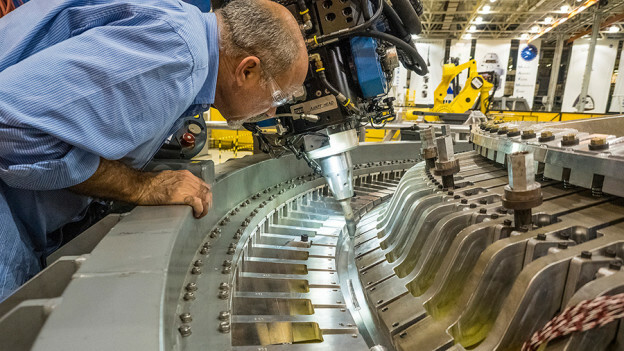 Engineers at NASA’s Michoud Assembly Facility in New Orleans continue to weld together the primary structure of the Orion spacecraft for Exploration Mission-1. Technicians recently joined the spacecraft’s barrel section, which is the round middle part of the spacecraft, to the aft bulkhead, which is the bottom portion of the crew module. 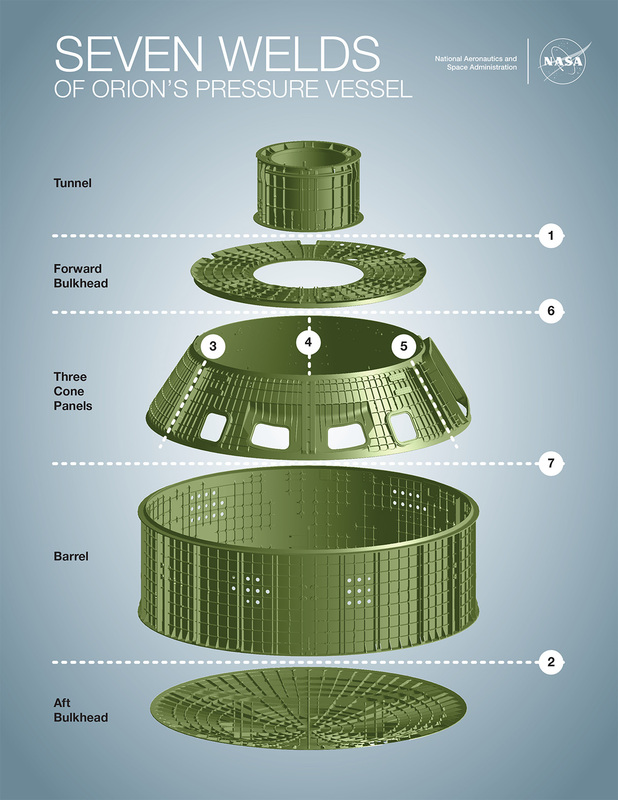 Orion’s primary structure is composed of seven large pieces that are put together in detailed order. Orion’s three cone panels next will be welded together. Once completed, the structure will be shipped from Michoud to the agency’s Kennedy Space Center in Florida, where Orion’s systems and subsystems will be integrated and processed before launch atop NASA’s Space Launch System rocket. As someone who had the opportunity to watch some of the late Apollo Missions live on TV, I cant’t wait to watch NASA making the next big step of space exploration. BTW: What I don’t understand is why you’re using friction stir welding instead of Laser welding. Laser welding has so many benefits regarding speed,, tolerances etc. When completed and launched the Orion spacecraft and it’s mission will represent the pinnacle of human technological development incorporating every fact of mathematics, physics, material science, medicine, and engineering known to mankind at the time. It will rival the achievements of Apollo, Voyager and Cassini, among other amazing NASA achievements. The method of friction-stir-welding of large aluminum alloy body segments was only invented around 25 years ago! Congrats to NASA. Would love the opertunity to sign up for the training program for the first crew of the Orion and its mission to Mars!! Can think of no better end to my days than to be one of the first to start settlement on a new planet! !